Shares of Samsung Electro-Mechanics Co., the electronic parts making unit of South Korea’s Samsung Group, rallied Thursday on news that the company may transfer its money-losing panel level package (PLP) to affiliate Samsung Electronics Co., a move that would improve its financial health. Its shares gained 2.25 percent to end at 113,500 won ($99.89) on Thursday. It was the fifth day in a row the shares have gained on such expectations. The company is yet to comment on the market speculation. 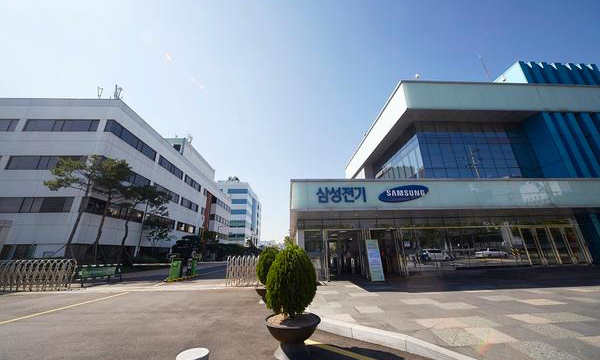 Samsung Electro-Mechanics has injected nearly 600 billion won in capital spending for the PLP division, but the division has logged an annual loss of about 130 billion won to date. The manufacturing line is in need of further large-scale investment to roll out products for smartphones, which is considered a big burden to the company, according to Korean Investment & Securities. The securities firm also forecast that the company’s component solution business will recover starting the second quarter of this year on revived demand for its mainstay product of multilayer ceramic capacitors (MLCC) from China. Kiwoom Securities also projected that Samsung Electro-Mechanics will turn around if it successfully transfers its PLP business to Samsung Electronics thanks to a reduction in capital spending.